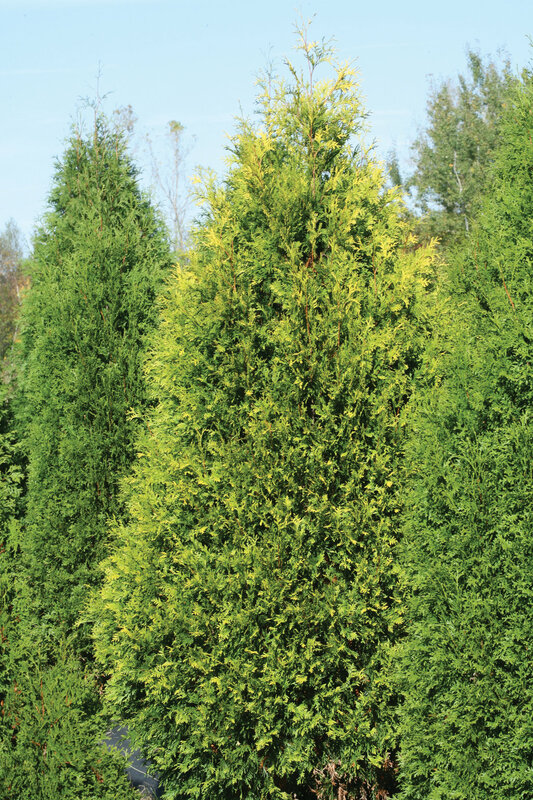 A living fence of arborvitae is always nice, but some varieties take up a lot of yours (and your neighbor's) yard space. 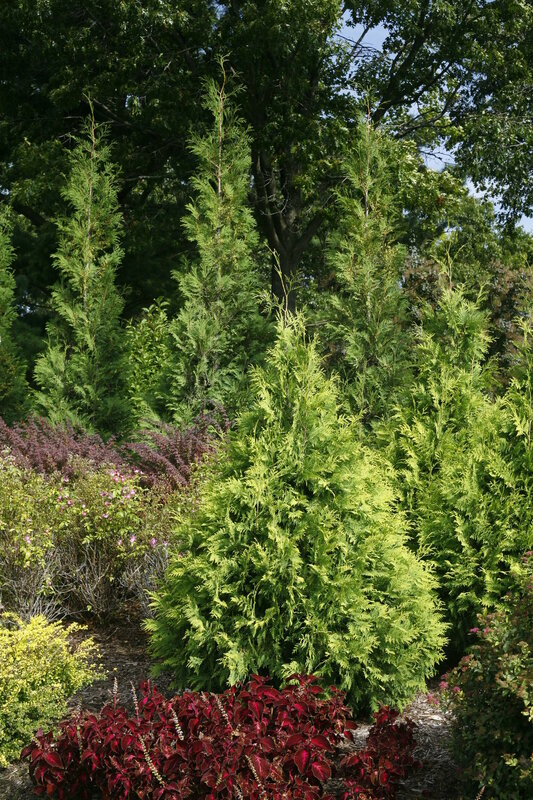 Polar Gold® arborvitae naturally grows with a narrow, space-saving habit, so you can achieve the same effect in a small area. 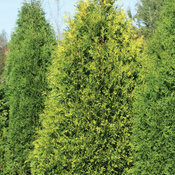 New growth emerges a cheerful glowing gold color, which persists year-round. 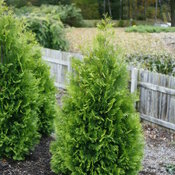 Though arborvitae is not deer resistant, it's an outstanding native evergreen for those struggling with shaded conditions. 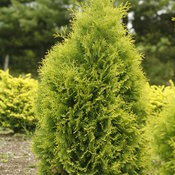 Very hardy, too! 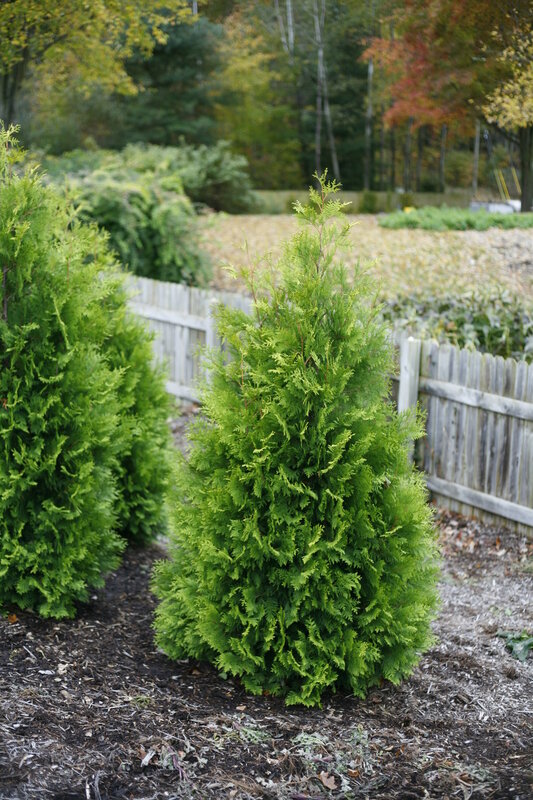 Arborvitae are a classic choice for hedges and screening, but they also make excellent specimen plants, additions to perennial borders or other gardens, or even in containers for an evergreen accent. 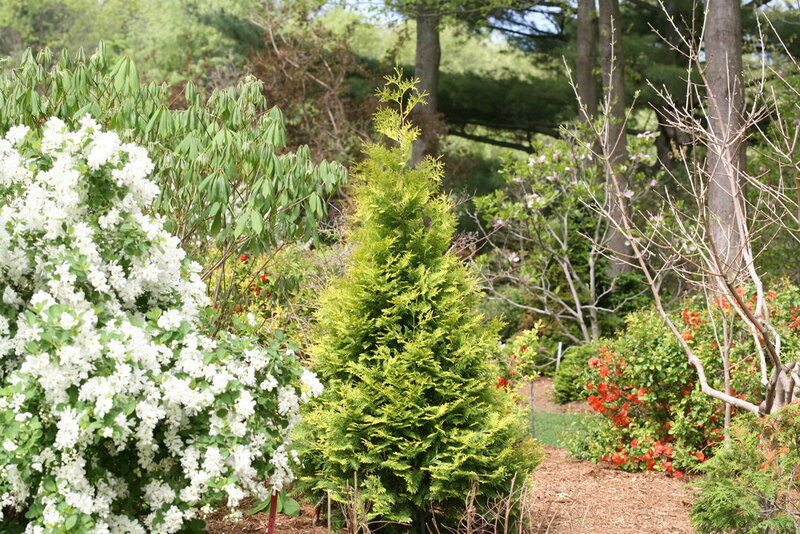 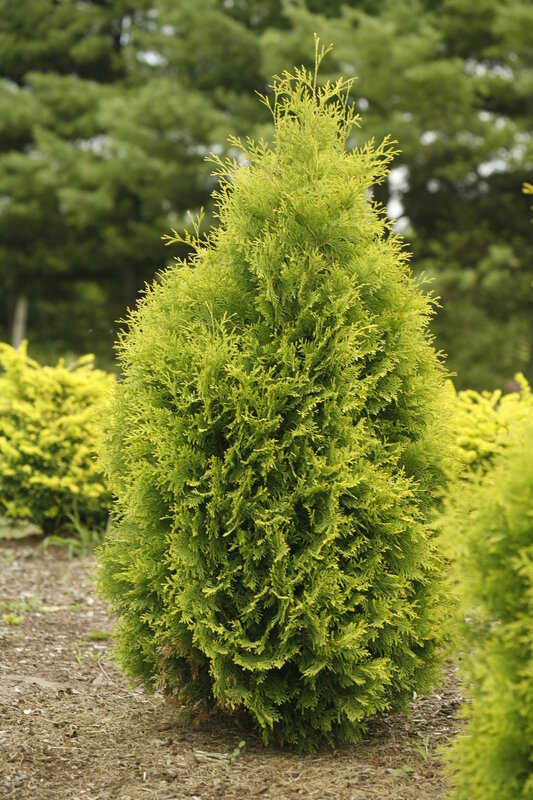 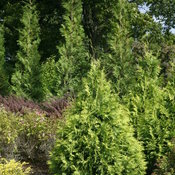 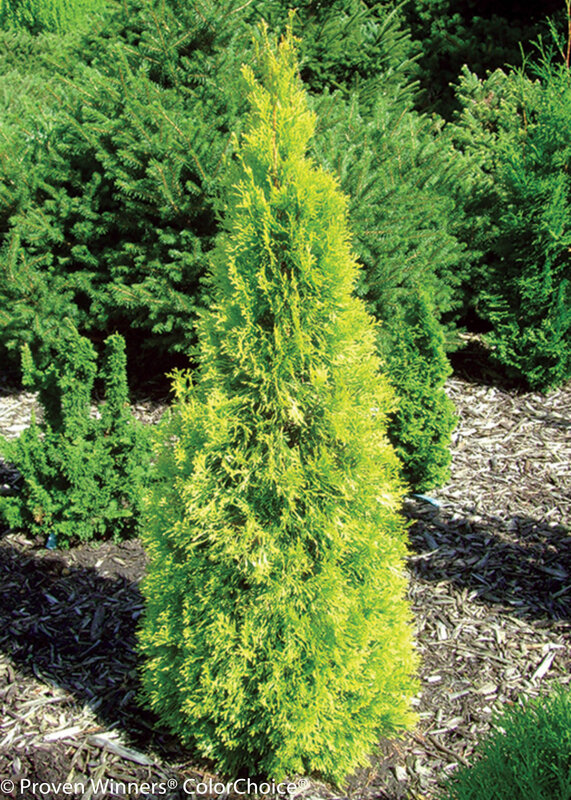 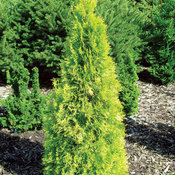 Polar Gold arborvitae naturally grows as a dense, narrow pyramid, so little to no pruning is required. 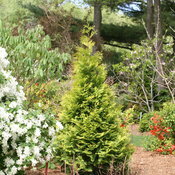 If you do wish to prune, do so in late spring/early summer, after the new growth has emerged. 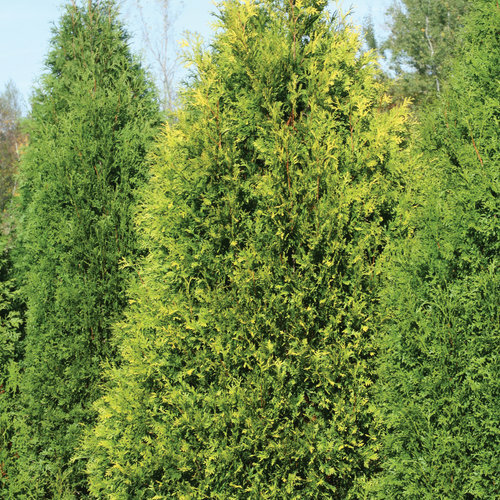 Avoid cutting into any very thick stems unless you are removing them entirely, as this can leave an unsightly hole in the plant and recovery from such cuts is typically slow.